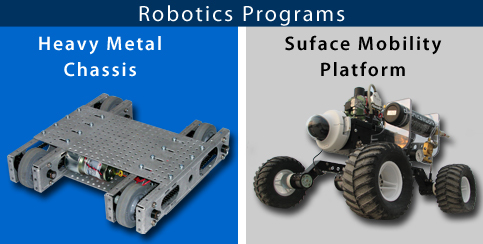 Gears EdS is the leading supplier of open source educational robotics programs and hands-on engineering and mechatronics kits. Unlike our competitors, all products are made from industrial grade materials to ensure years of use. We enable and encourage users to integrate their own sourced, fabricated, or salvaged components. Developed by an educator, GEARS programs are widely used from middle school through college. Extensive curriculum delivers S.T.E.M. educational resources to aid teachers and engage and inspire students. 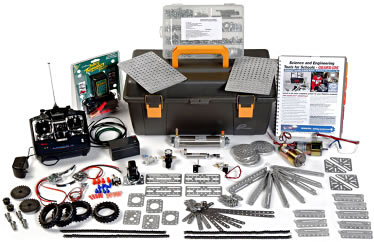 The GEARS Invention & Design System™ gives teachers the industrial strength tools they need to create world-class engineering and robotics challenges for their students in the comfort of their own classrooms. 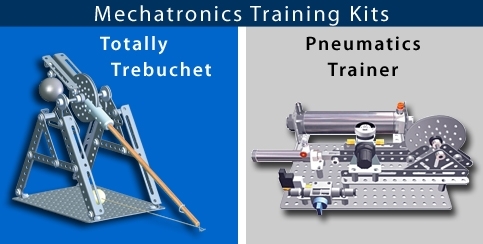 This heavy-duty mechatronics prototyping kit with industry grade components integrates with a wide array of existing engineering components and third-party kits. Introducing the Gears Robot Control package—the first suite of electronic controls for Gears robotics systems. Plus, our new NXT Controllers let you use a language you already know. Search and rescue, environmental research, & first responder bot.